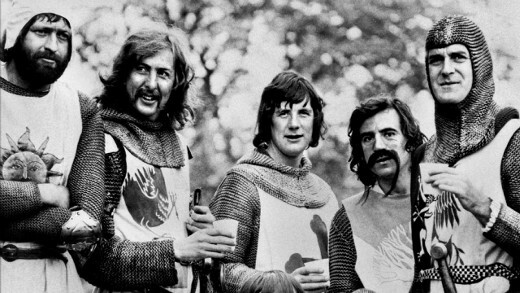 In August of 1974, eight months prior to its cinema release, a preview screening of Monty Python and the Holy Grail—a painfully funny parody of the legend of King Arthur and the Python team’s second feature film—was attended by a member of the British Board of Film Classification, Tony Kerpel, who was there to offer some feedback in relation to its eventual rating. 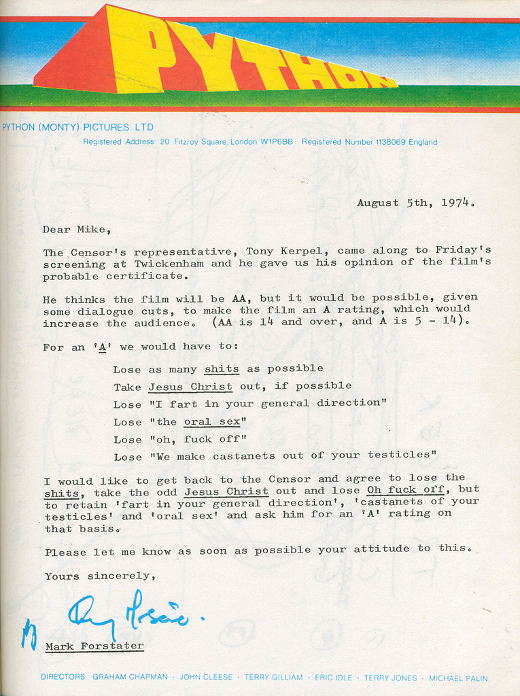 After the credits had rolled, an informal chat took place between Kerpel and one of the film's producers, Mark Forstater, which resulted in this highly amusing letter being sent to fellow producer Michael White a few days later—its subject: dialogue cuts. A joy to behold, and a welcome reminder of this far cruder effort from Matt Stone on the subject of South Park. The Censor's representative, Tony Kerpel, came along to Friday's screening at Twickenham and he gave us his opinion of the film's probable certificate. He thinks the film will be AA, but it would be possible, given some dialogue cuts, to make the film an A rating, which would increase the audience. (AA is 14 and over, and A is 5 - 14).